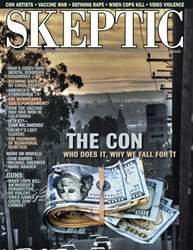 Digital Subscriptions > Skeptic > 21.1 > WAS THAT A G-G-GHOST?!?! “Ghosts” have changed over time. This is a clue that ghosts have more to do with the beliefs of the living than mysterious supernatural forces. But why have so many people over so many centuries accepted ghost stories as true? And why do so many people today—18 percent of American adults!— believe they’ve seen or been in the presence of a ghost? Part of the answer must be the way humans think. People find it natural to suppose that the dead live on in some way. In this issue of JUNIOR SKEPTIC we’ve explored haunted house stories in Western culture, but most cultures have their own versions of ghosts.